It begins with the Steiff duckling of my youth looking in shocked amazement, mimicking my own joyous face I’m sure, at the bag of Chanel treats given me by my mother. New Rouge Coco lipsticks vie for the attention of Coco Noir and Mademoiselle fragrance samples, and it is an Easter basket beyond compare for this girl. I have before me seven whole days of freedom. Days in which to indulge myself reading as many of the books for the IFFP as I can. Waiting for me still to complete, and I’m trying not to become compulsive, are: By Night The Mountain Burns, The Ravens, The Dead Lake, Look Who’s Back, and the rest of While The Gods Were Sleeping. If I am able to read those five, I may have time to squeeze in one or two more before the official short list is announced on April 9. And with the advent of April comes not only the short list, but the next Dewey’s Read-a-thon on April 25. Reader sign up’s are here if you wish to participate. It promises to be a beautiful Spring in so many ways. Hope to see you as I continue to review books for the IFFP, and put together what I want to read for the read-a-thon. I was at a bookstore *yesterday* and saw this book on a display. I stopped and picked it up, and thought, “I think this is the book Bellezza mentioned”. It might have been last year when I was reading Goldfinch, but Little, Big is also a long book? But now you post about it today? So weird, and possibly a sign. The problem for me is that this book – which is long, yes – has nothing to do with other things I have been reading, nothing at all. It seems very distant from anything I have been thinking about. But it is a great book. I have some doubts about how quickly I can read it. What the heck, right? But I make no promises about when I will write about it. I see from the cover that Harold Bloom “regularly rereads” it, but he used to read, he said, 1,000 pages per hour. I am a little slower than that. I understand completely that it has nothing whatsoever to do with your current line up. (Even for me, this is not a genre I normally pick up.) For that reason, it would make perfect sense to me for you to decline reading it at this time. However, with the knowledge that reading is a journey not a race, and a pleasure not a job, perhaps we may take it up knowing that we may, or may not, write about it any time soon? My priority is the reading I’m doing for the IFFP which will take most of April. And, I promised Terri that I would read Murakami’s Sputnik Sweetheart with her in May. But, I will be picking up Little, Big in May as well, and slowly working through it. If you should choose to join me, I would love your company. I read the first chapter to remind myself what Crowley’s novel is like. Maybe I should make it part of what I have been thinking about. Man, is it good. As for genre, very few books are in the same genre. Dream novels. The Alice books. I’m glad you like reading and rereading old books. I’m a browser of Used-Book stores and very often pick up books read by many readers before me. What’s the April Dewey’s Readathon? I haven’t reread a beloved book in so long. I used to regularly reread Margaret Atwood, Madeleine L’Engle, Donna Tartt and A.S. Byatt. In fact, I have a hankering to reread, of all crazy things, Watership Down. Ever since I began this blog, in 2006, it’s been full steam ahead with reading new things, and while that’s enriching, I do miss my own, slower pace which often included rereads. As for Dewey’s Read-a-thon, so fun! The idea, in its simplest form, is to stop everything in life for 24 hours and read. The event is in honor of book blogger Dewey, who passed away many years ago. But, she began the read-a-thon, and those who continue it do so in her honor. You can post about what you read, what you snack on, how it’s going, if you choose. Or, you can just read read read and push away all things technological. The 24 Read-a-thon sounds fun and scary. I still have an old copy of Watership Down. I used to have many of A.S. Byatt books. I’ve given them all away. I like Possession and her novels before she wrote Possession. Possession is my favorite of A. S. Byatt’s. I so hope to reread Watership Down for Carl’s Once Upon A Time Challenge 9. I’m looking forward to hearing what you think of The Dead Lake – it was my favourite of the Peirene Press titles from their coming-of-age series. Enjoy all the reading you are planning to do during the next week! I could do with one of those reading breaks, though I had just returned from vacation and can’t afford more breaks now. I am looking forward to hearing more about the IFFP books. Really, these IFFP books are fantastic. A worthy trip in and of themselves. I am one of those who can happily vacation at home! I just love the idea of being surrounded by the same old comforts and routine but not having to go to work. I hope you enjoy your week! Well, I can never read as much in a day as I imagine I could when I’m at work. Invariably, I take small breaks to check the iPad, cook something, get up from a numb spot on my body. 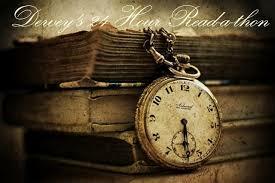 It’s true, no matter how much we love to read we can’t do it from 8 to 5 with much peace. 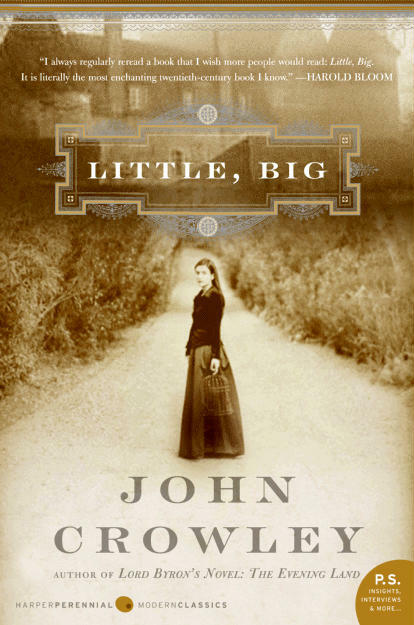 Hmm, you know, I’d be interested in joining in rereading Little, Big, if you’re still considering it. I felt slightly mind-blown by it the first time I read it (that’s not a criticism! ), it would be nice to have company for the second time. I have also just read Mieville’s The City & the City, but forgot to mention it on my blog. It’s very clever and entertaining: I’d recommend it. Helen, I’d love your company! Right now I’m finishing books for the Independent Foreign Fiction Prize, but then I’m going to embark on reading for the Once Upon a Time event. I want to read Little, Big first, but I specificially bought The City & The City to read as well. Glad to know you recommend it! I’ll put up an official post regarding the read along of Little, Big. Does it work better for you to read it in May or June? May and June are both lovely! Very much looking forward to it. It will be such fun reading it with you and other people too. I’m really looking forward to it, too! Let’s set a start date for May. I’ll put up an invitation should anyone else want to join us, and see if I can formulate a loose schedule of sorts. With no obligation of course. We’ll read and have lovely chats as we go. Yay! 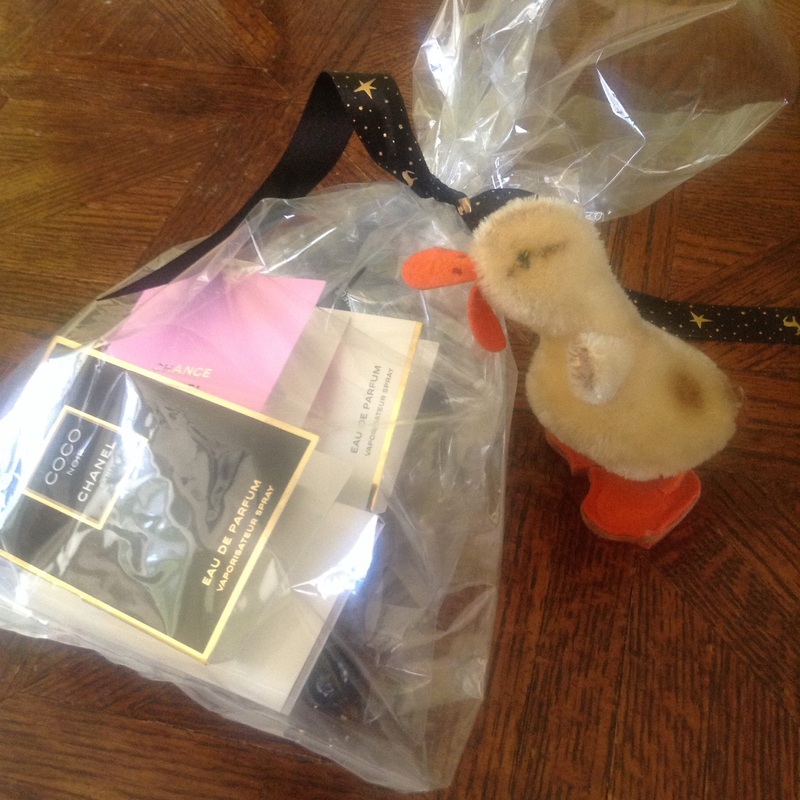 Your mom is so sweet 🙂 I remember when I got your little Chanel package … I probably looked like the duck too.